General purpose use. 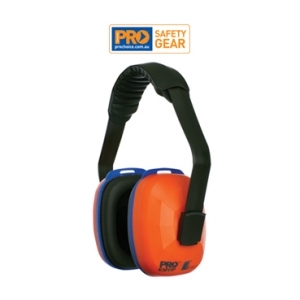 Hearing protection for noise levels to 110dB(A). High quality ear cushions. Inner foam and headband cushions provide comfort during extended wear. Three position headband (over the head, behind the head and under the chin) allows the earmuffs to be worn comfortably with other safety gear such as hard hats, respirators, safety glasses and visors.